I have a fascination with doors. Yes, doors. The entrances and exits to homes, cars, and other structures that we take for granted because they’re always there. Yet, whenever I’m traveling or even just out and about, if I see a door that catches my attention, I comment on it or I snap a photo of it. I’m not sure where my fascination comes from or why it’s so strong, but doors always mean something and peak my interest, whether they are uniquely shaped, brightly painted, whimsically decorated, or just standing solid and still. In retrospect, a large part of my fascination probably stems from the books I read where doors played a big role, like Alice in Wonderland or The Lion, The Witch, and The Wardrobe, and The Secret Garden. Even Little Women (holding the #1 spot on my all time favorite books list!) had doors that Jo March and her sisters were constantly walking in and out of as they experienced their lives together and apart. There is also an appealing parallel because doors are like people. They come in all shapes, sizes, ages, colors, and functions. For instance, the world’s largest door was created by NASA and can be found at the Kennedy Space Center in Florida. It stands 456 feet high and takes 45 minutes to open or close. And, a red church door represents Passover and is a symbol of sanctuary and safety all across the world. How amazing that an object carved from a God-given material (wood/trees) would demonstrate not only worth and value, but also design, beauty, and purpose! Doors also offer two emotional perspectives. One is that of optimism and joy. For instance, when you start walk through the door of a new job for the first time or when you are invited through the door of the home where you’ll find friends and family celebrating a birthday. The other perspective is that of sadness and disappointment, such as when we must say good-bye to a loved one who is walking through airport doors or helping a friend as they check-in through a door for chemotherapy at a hospital. 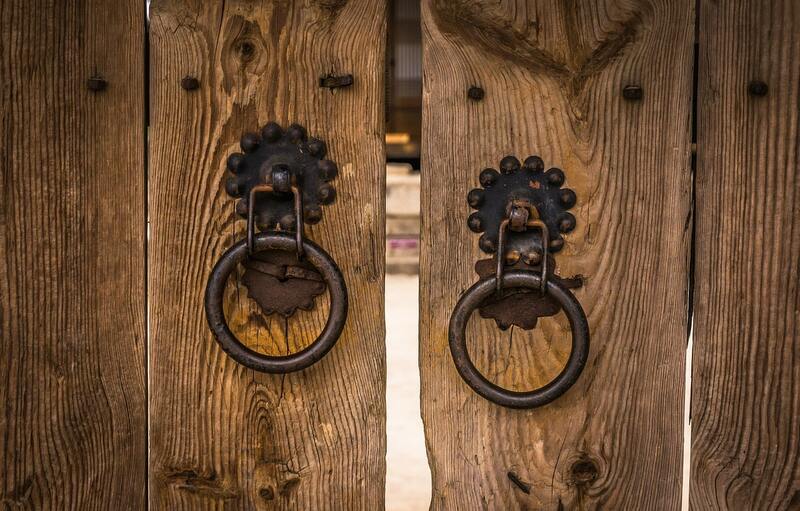 Mostly, doors symbolize transition and change. Things you are either energized by or challenged by in your everyday life. 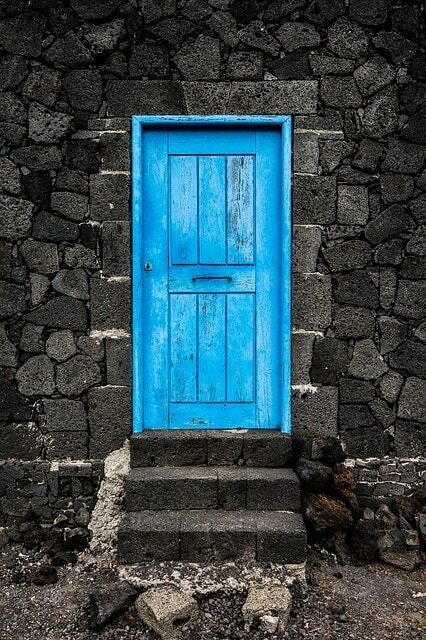 You see, in order to move from one moment to the next, one opportunity to the next, we must be willing to physically, mentally, and metaphorically walk through a door, no matter what awaits us on the other side. And, who better to guide us through the right door, than the one who designed us for that purpose. So, whether you’re a writer waiting for a publishing door to open, a parent closing a door to protect your family, or a young adult searching for the right door of opportunity, remember that JESUS is the One Door that you will always be open to you. All you have to do is stand at the door and knock. He’s right there waiting for you on the other side. P.S. How do you feel about doors? Do you admire them or shun them? Appreciate them or forget they are there? Share your thoughts on our Facebook page today.